You are in for a surprise with the all-new 2017 Honda Civic Hatchback, which boasts a striking Euro-inspired design style that is eye-catching and charming. This model is a superb new addition to the highly esteemed Honda Civic production lineup. 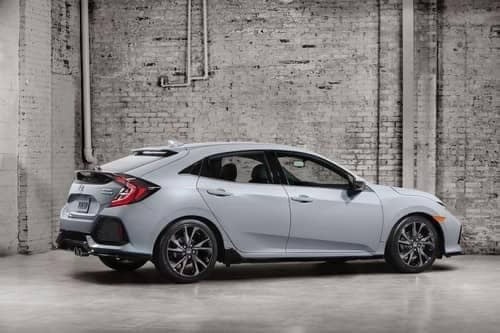 Car enthusiasts all over the country are in for a treat with the arrival of the Honda Civic Hatchback in the fall. For decades Honda has been producing vehicles that are dependable, reliable, fuel-efficient, and exciting to drive. 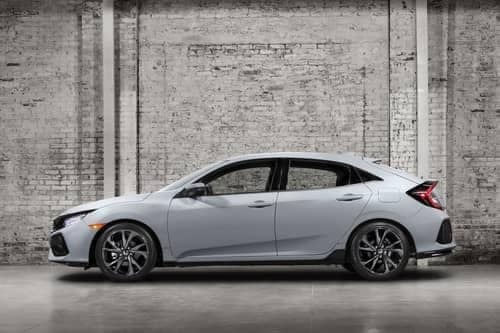 The compelling new 2017 Honda Civic Hatchback model is an excellent choice for anyone looking for an ultra-modern, stylish, and flexible ride. Together with the hatchback and five-door flexibility, it is one of the car maker’s most exceptional designs. Why not drive in style with the 2017 Honda Civic Hatchback? Based on Honda’s world class design platform, this model offers an impressive blend of interior comfort and high-tech features. The spacious interior of the vehicle is furnished with up-to-date, elegant, and high quality trimmings made from superior quality materials. Honda’s attention to the advanced safety features in the Honda Civic Hatchback edition has been duly acknowledged. This model is the epitome of superior technology. It is equipped with a plethora of driver assist and safety technologies ranging from: Adaptive Cruise Control, Hill Start Assist, Lane Departure Warning, Lane Keeping Assist, Collision Mitigation Braking System, Forward Collision Warning to the 4-function anti-lock braking system. 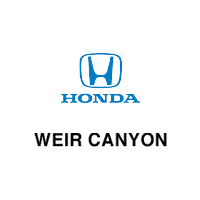 Weir Canyon Honda possesses a wide array of new and pre-owned Honda vehicles. 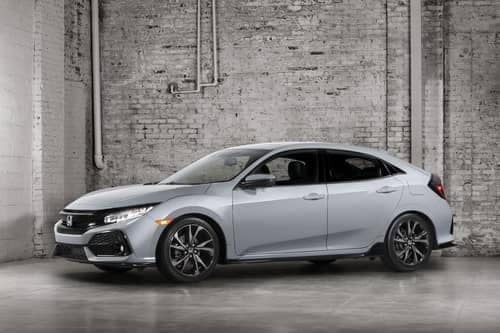 If you are looking for the sporty new 2017 Honda Civic Hatchback in Anaheim, CA, then we will definitely have a model for you when it comes out. For now, come and meet our friendly staff and take our fun-to-drive models out for a test drive and enjoy an exhilarating experience. We also serve anyone in the Huntington Beach, CA, Brea, CA, and Irvine, CA areas, and would love to serve you! Contact us today.